Dr.NISSIN NAHMIAS, M.D., F.A.C.S., F.A.S.M.B.S. Dr. Nahmias has performed more than 1000 bariatric procedures while in training and as an attending physician; in addition he has managed many more complex bariatric patients before and after surgery. He maintains some of the lowest complication rates and some of the highest patient satisfaction rates in the country. Dr. Nahmias was born and raised in Mexico City; he attended the Anahuac University School of Medicine and graduated with honors at the top 1% of his class and with a full scholarship for academic achievement. Dr. Nahmias’s interest in bariatric surgery began during his general surgery residency in Philadelphia, Pennsylvania, when he worked under the instruction of Professor Ramsey Dallal, M.D, an experienced bariatric surgeon that has participated in more than 3000 bariatric procedures. After residency, he dedicated a year of his life to learn the techniques of bariatric surgery from some of the nation’s pioneers of academic bariatric surgery, Dr. James W. Maher and Dr. John M. Kellum; completing a fellowship in laparoscopic and bariatric surgery at the prestigious Virginia Commonwealth University/Medical College of Virginia in Richmond, Virginia which is one of the country’s leading institutions in the development of the field of bariatric surgery. The American Society of Metabolic and Bariatric Surgery designated him a “Bariatric Surgeon of Excellence”. He is a Diplomat of the American Board of Surgery, a Fellow of the American College of Surgeons and of the American Society for Metabolic and Bariatric Surgery. Dr. Nahmias is a member of the Society of American Gastrointestinal and Endoscopic Surgeons, the Society of Laparoendoscopic Surgeons, the Connecticut Chapter of the American College of Surgeons and the International Federation for the Surgery of Obesity and Metabolic Disorders. Dr. Nahmias maintains staff privileges at Saint Francis Hospital and Medical Center and John Dempsey Hospital of the University of Connecticut, where he holds an appointment as an Assistant Professor of Surgery. In his academic role, he serves as a mentor for surgeons, surgical residents, medical students and affiliated healthcare practitioners. 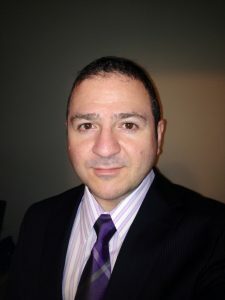 Dr. Nahmias is a clinical instructor at the Hartford Hospital Center for Education, Simulation and Innovation of the University of Connecticut Integrated General Surgery Residency Program. He is a proctor for the Fundamentals of Laparoscopic Surgery program. He is a member of the Minimally Invasive Surgery Fellowship program at Saint Francis Hospital and Medical Center, a member in the ASMBS Bariatric Surgery Training Committee and a member of the Graduate Medical Education Committee of Saint Francis Hospital and Medical Center. Dr. Nahmias scientific work includes 5 peer reviewed publications, 2 book chapters and over 15 presentations in national and international meetings.